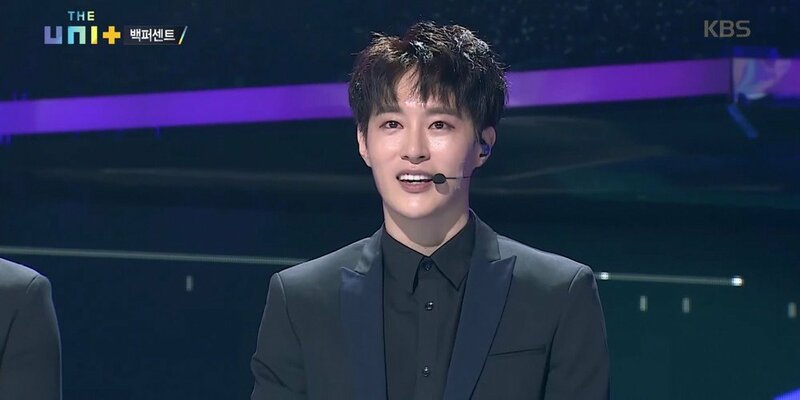 After the sad news of 100% leader Minwoo's untimely death on March 25, the late idol's final appearance and interview on a major broadcasting station - on KBS2's 'The Unit' - have regained attention. Back in November on 'The Unit', all 5 members of 100% auditioned for a chance at a "reboot". 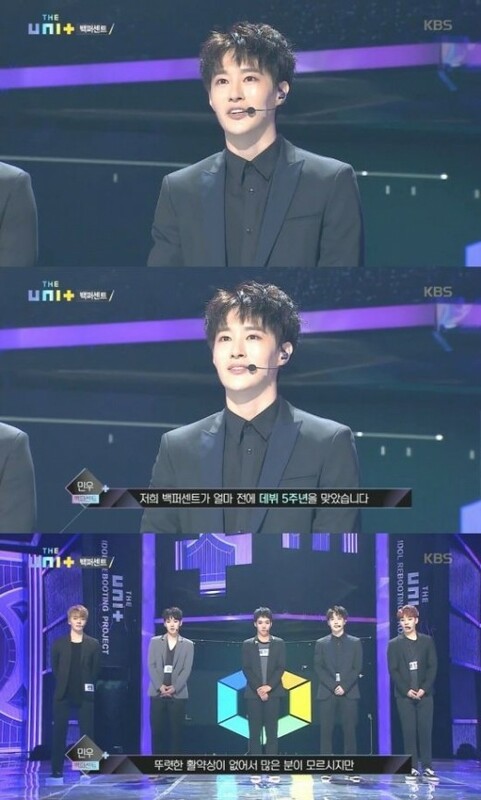 Minwoo told the judges/mentors, "We 100% recently celebrated our 5th anniversary. Not many people know about us, but still, we felt that the greatest happiness for us has always been being able to stand on stage, so we took on this challenge," as the reason for the group auditioning for the program. 100% then performed TVXQ's "O-?.?.? ", resulting in only member Rokhyun receiving boots to move on to the next round. (Fellow member Hyukjin was brought on later.) You can watch 100% full audition on 'The Unit' here. Similarly, many netizens are bringing back to light Minwoo's final Instagram video post before his passing, which was back on January 24. Along with a simple video of himself enjoying the scenery of the snow, Minwoo wrote, "Going for a walk in the forest in the snow. 'It's super pretty~ (I mean you).' #100% #Minwoo #SeoMinwoo #JoNari_Posing_AsPhotographer #It's okay if you want to show this to people and boast that it's from a romantic interest on his vacation."
? ??? ?? ?? ? "?? ???~(??)" #???? #?? #??? #????_????_??? #??????????????????? ?